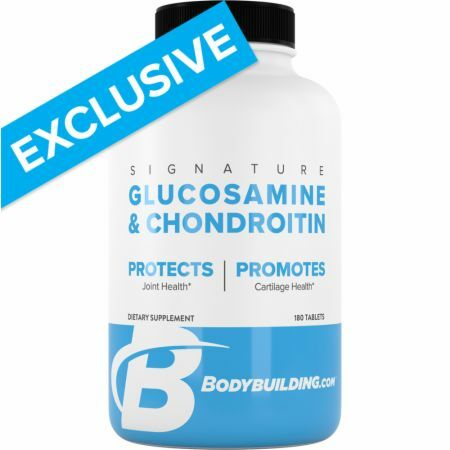 Bodybuilding.com Signature Glucosamine & Chondroitin at Bodybuilding.com - Best Prices on Signature Glucosamine & Chondroitin! A signature is a promise. A symbol of your identity. Your mark on the world. In 1999, Bodybuilding.com was founded on a single promise: Trust. It's who we are and it's in our blood. Our Signature line is built on the same promise. Every product is no-BS, transparent, filler-free, and formulated with effective doses of research-backed ingredients you can trust. We create the highest quality supplements, so you can focus on leaving a mark of your own. 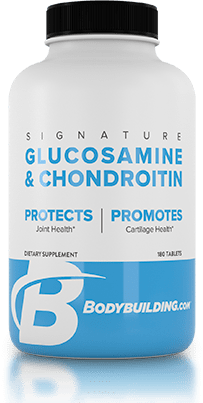 Signature products are formulated with high quality ingredients at effective doses that we're proud to share with you. We don't hide anything in a "proprietary blend", so you always know exactly what you're putting into your body. An effective dose is the amount of an ingredient that has been shown to deliver results. Some supplement brands add a sprinkle of an ingredient just so they can say it's in the product. Signature supplements always include enough to get the job done. Trendy, flash-in-the-pan ingredients come and go. But time-tested, gym-proven ingredients are what you need to help you achieve your fitness goals. That's what you'll find in Signature products because that's what works.